Over 100 customers attended the packaging innovations conference PET Vision in Moscow, co-hosted by RETAL on 19th April. RETAL also presented its latest advanced technical capabilities, while PET Engineering revealed new packaging design concepts at the event. 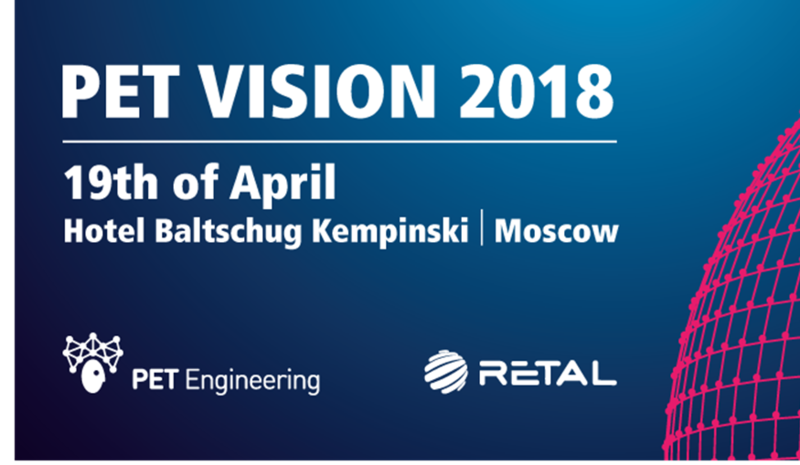 PET Engineering launched the first Pet Vision conference in 2010 and this year invited RETAL to co-host the event, due to their long-term partnership.